The "drive for perfection" is built into the line of FireLite portable external drives. Palm-sized durable and stylish with outstanding performance and capacity FireLite offers the ultimate in a convenient highly portable data storage solution. 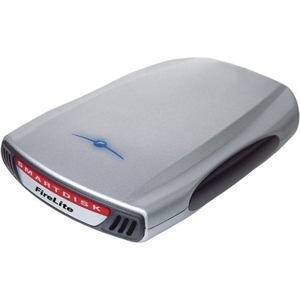 FireLite combines the best features of today's hard drive designs in one attractive package. Quite simply FireLite provides quality without compromise.FireLite's diminutive size and weight are made possible through the use of magnesium alloy for the drive's housing - by weight one of the strongest materials on the planet. Its thermal dissipation properties also help to wick away heat increasing drive longevity. Hold it in your hand and you'll sense the aesthetic and functional advantages of a metal housing over plastic.